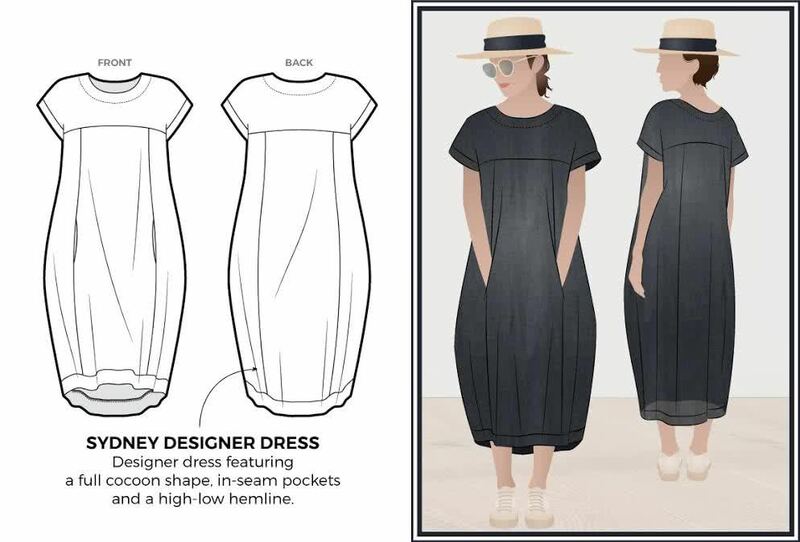 Here at Style Arc we are constantly mixing up our styling to ensure we cover as many looks as possible with our sewing patterns! 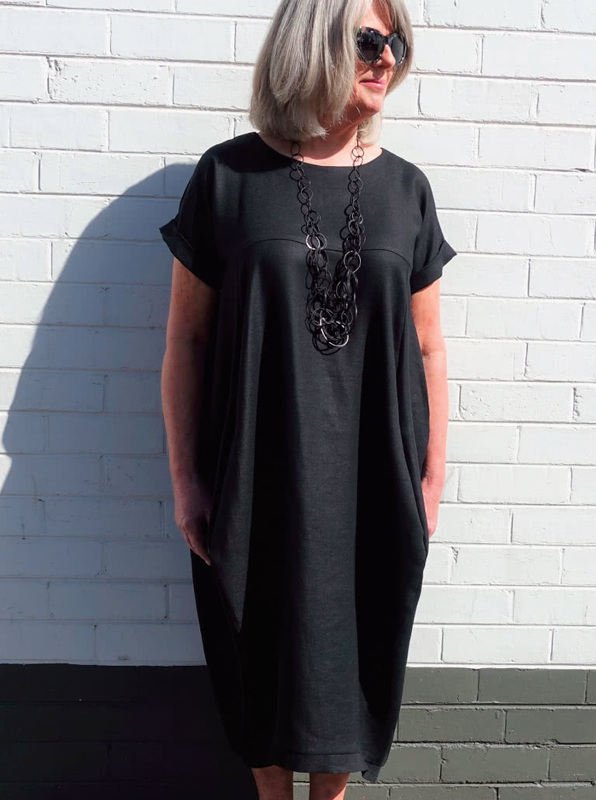 Today we release our Sydney Designer Dress, which is perfect for those that prefer a more fluid style. Sydney features a mid-length front and longer back along with an extended shoulder line. Each panel has been engineered to create the drape and fall of this interesting style which creates a lovely cocoon shape. This pattern is a clever design but is also an easy weekend make. We made our Sydney Dress in a lovely Linen from our neighbours over at Super Cheap Fabrics and we were very happy the end result. The Sydney pattern is available in all of our formats: paper single-size, paper multi-size, PDF single size and PDF multi-size. Here we have featured the Sydney Designer Dress with our Chain Effect Statement Necklace to dress up the look! Did you know we are now wholesaling? We have recognised the importance of providing our patterns to retailers and many of you have been asking for this for a long time! This week we have launched a wholesale account area, allowing retailers to easily shop for and purchase our patterns directly.